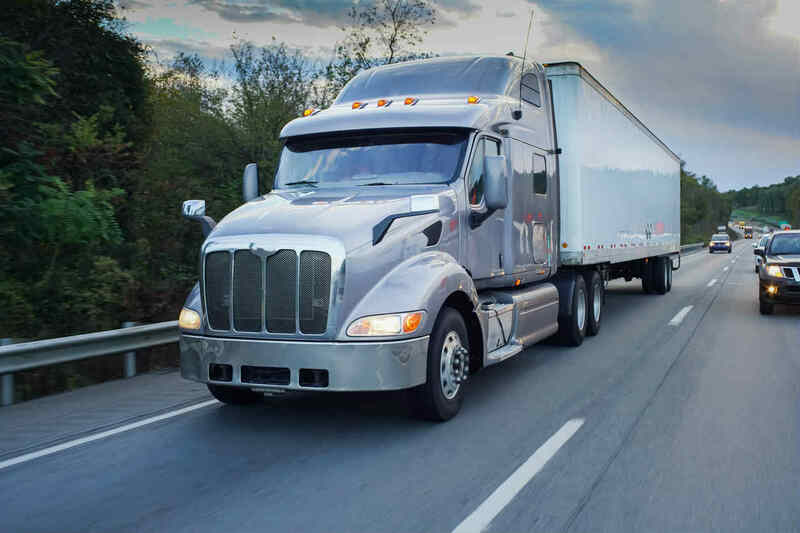 Accidents related to semi trucks can be extremely deadly and cause serious injuries. One of the most common problems that cause a truck to lose control while on the highway is a blown-out tire. You’ve probably seen the signs of a blowout on the highway before – a big pile of rubber sitting on the side of the road or on the shoulder. But many people don’t know how to respond if a truck has a blowout while they’re driving behind them. In this article, we’ll give you some advice that will help you respond properly if a truck’s tire blows out in front of you while driving. You should either keep trucks a few hundred feet in front of you – or pass them safely whenever possible. If you are too close to a truck or “tailgating” it, you will have much less time to respond to a blowout. You may be tempted to swerve suddenly if a semi-truck has a blowout in front of you, to avoid debris or loosened cargo. However, if you yank your steering wheel too hard, you risk flipping your car and reducing the efficacy of your brakes. If there is debris in front of you, apply your brakes smoothly and steadily, while pulling your steering wheel gradually to the side – as long as there are no cars or other trucks next to you. In addition, as a rule, it’s generally better to run into some debris on the road than it is to try and avoid it by swerving. This is critical for all emergency stop situations. Make sure your own tires are not worn or damaged, and that they are properly inflated. In addition, have your brakes inspected regularly to ensure your rotors and pads are in good condition and will be able to handle the rigors of an emergency stop from highway speeds. If you have ABS (anti-lock brakes), all you have to do is plant your foot firmly on the brake pedal. You will likely feel some significant vibrations in an emergency stop – this is the ABS system applying pressure and preventing your brakes from “locking up” and sliding. Typically, new cars made after the year 2000 have ABS. If your car is older, though, it may have been an optional feature. In this case, you should “pump” your brakes. Apply pressure steadily to the brake pedal and release it periodically to prevent skidding. Stay Safe from Blowouts with These Tips! The truck driver and insurer is responsible for damage when a blowout happens. However, whenever possible, it’s better to avoid being in an accident than it is to pursue damages. If you have been involved in a St. Louis auto accident, get in touch with our experienced attorneys 24/7 at (314) 361-4242.